Who would have thought a simple glance behind you would forfeit everything in front of you but such is the tragedy of Lot’s wife. The instructions were clear and their new place of residence was determined, “Run for your lives! And don’t look back or stop anywhere in the valley. Escape to the mountains or you will be swept away” (Genesis 19: 17). They were headed to the mountains; getting ready to embark upon a great adventure; and while running for their lives Lot’s wife becomes salt. 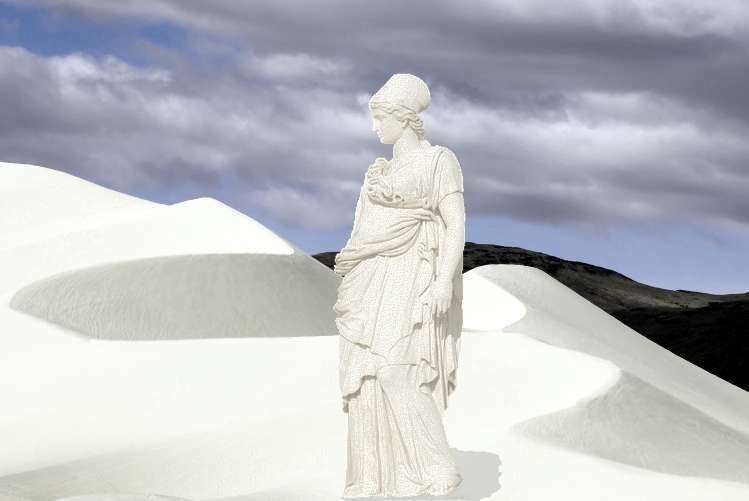 But before we cast a stone at the Salt lady, let us consider ourselves. How many times has looking at our past caused us to become bitter and unable to move forward into the future. Lot’s wife was disobedient when she turned to look, but can you blame her for desiring one more peak at the city that was once her home. I, like Lot’s wife, have been guilty of revisiting my past sometimes whether it has been with an old boyfriend, old hangouts, or sipping on something because it used to be what I enjoyed. I would soon realize that the trip back to my past was not beneficial in the way I thought it would be. What is so appealing about our past that causes us to return there so easily? Is it because it is comfortable? Is it because it is familiar? Is it because we are afraid of what is ahead? Or are we just too lazy to face the obstacle the future may present (i.e a greater anointing, a new mate, job, business, and etc.)? My question is why couldn’t Lot’s wife let go of her past? Maybe she considered all the time she invested into making her old city a place her family could live. Maybe investing the time to establish a new home in a new city, was too overwhelming for her. Who knows? But the tragedy of it all is that the one thing she thought she could not do without caused her death, made her stiff, and incapable of experiencing her future, which has happened and is happening to many of us. My challenge to each person that reads this is to let go of those things that are behind you! Nothing your past has to offer is worth the expense of your future!!! I know this is easier said than done; but trust me it is worth it in the end. Giving up everything, including our past, is a part of being a disciple (Luke 14:33). It maybe hard but remember “with Christ all things are possible!” Trust that God is capable and well “able to keep you from falling” back to your past. Although this walk with Christ maybe difficult at times, the rewards of it are eternal!!! Moment of Truth: What is the thing(s) in your past that is extremely hard for you to let go? Why do you feel such an attachment to the person, place, or thing? Is this person, place or thing worth your future? Bust A Move: Write a letter to someone who is struggling with the same thing you are facing. In the letter be transparent about your struggle, provide encouragement to overcome the struggle, and provide practical ways to assist in letting go of that particular thing in their past. Once you have completed the letter, read over it and start following the advice you so graciously gave another in your situation (smile). In the meantime, I will be praying that we would run towards the future ahead of us and not look back or revisit our past behind us in Jesus name.